Recognizable from miles away thanks to its iconic design and off-roading capabilities, the Jeep Wrangler delivers time and time again. The Wrangler is so much more than just an off-roading machine though, thanks to years of technological advancements, this SUV is just as capable on the road for daily commuting and carpooling! 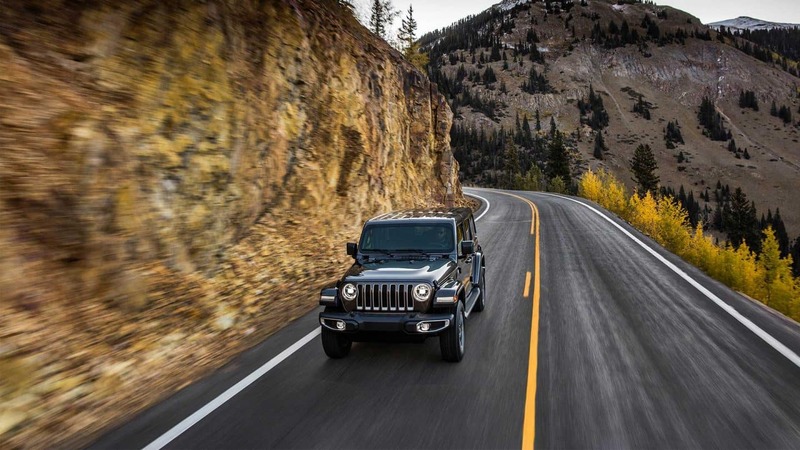 The Jeep Wrangler has launched into the 2019 model year with new advancements and features that everyone will enjoy! Some of these new features include the addition of a Bikini exterior paint color option! We have all the latest information about the 2019 Wrangler from powertrain options to the safety features so keep reading! Jeep will continue to offer the Wrangler in four trim levels for the 2019 model year. They include the Sport, Sport S, Sahara, and Rubicon. There are also two body styles available, the two-door/four-passenger or the four-door/five-passenger (the Sahara model is four-door only). The exterior of the Wrangler is outfitted with all the iconic features that scream Jeep including the seven-slot keystone grille, trapezoidal wheel flares, and round headlamps. For all your infotainment needs, the Wrangler lineup offers three touchscreen sizes: 5.0, 7.0, and 8.4-inches. The two larger touchscreens come outfitted with the latest version of the Uconnect system and smartphone integration in the form of Android Auto and Apple CarPlay. Standard features include a full-size spare tire, keyless entry, 17-inch steel wheels, cruise control, manual locks and mirrors, a fold-down windshield, cloth upholstery, air conditioning, a rearview camera, USB and auxiliary audio inputs, eight-speaker sound system, Bluetooth, and a CD player. The Wrangler lineup offers two engine options for the 2019 model year. Up first we have the award-winning and beloved Pentastar. This 3.6-liter V6 engine generates an impressive 285 horsepower and 260 pound-feet of torque -- that's enough power for the two-door model to tow up to 2,000 lbs and the four-door model to tow up to 3,500 lbs when properly equipped. This engine is mated to the standard six-speed manual transmission but you can opt for the available eight-speed automatic. The second engine available for the 2019 model year is the 2.0-liter Turbo 4-cylinder that generates 270 horsepower and 295 pound-feet of torque. This engine offers the same towing capabilities as the first engine option and is mated to the eight-speed automatic transmission. In addition to the powertrain options, the Wrangler offers a lengthy list of off-roading capability features and equipment. They include a range of 4x4 systems -- each designed to satisfy different situations, enhanced ground clearance, water fording, and more! While you are tackling the latest adventure on your bucket list or cruising down the highway the Wrangler has your back with loads of modern safety and security features and equipment. 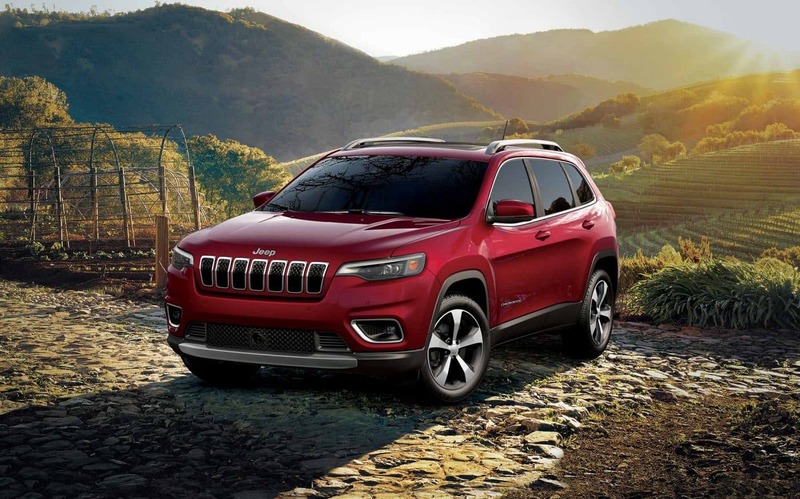 Stand out features for the 2019 model year include the Wrangler's safety cage design created with high-strength steel beams to bolster side-impact protection performance, the ParkView rear backup camera so you can navigate busy parking lots or even boat launches, and the Passive Entry system that allows you never even take the key out of your pocket yet still unlock all the doors and rear swing gate. Other features found within the trim levels include trailer sway control, a suite of sophisticated airbags, hill start assist, remote engine start, a theft deterrent system, and so much more! The 2019 Jeep Wrangler is a one-of-a-kind off-roading and comfortable commuting machine! Are you interested in learning more about the Wrangler and all that is has to offer for the 2019 model year? There are a few options: you can fill out the contact form provided below or give our sales department a call at 844-284-7221!